Manure tea is a nutrient-rich concoction for your garden that is easy to make and apply. A bit of manure plus some brewing time, and you have a great source of organic nitrogen fertilizer for your gardens and container plantings. Here's how to make and use it in your garden. Manure tea is exactly what it sounds like – manure steeped in water. Once it ​steeps, the resulting liquid is rich in nutrients and can easily be diluted and applied to your garden plants. Horse, cow, poultry, or goat manure are all appropriate for making manure tea. You can also make a decent manure tea from rabbit droppings as well. Avoid manure from carnivores such as cats and dogs, as these contain harmful pathogens that could make you sick if they come into contact with your food. 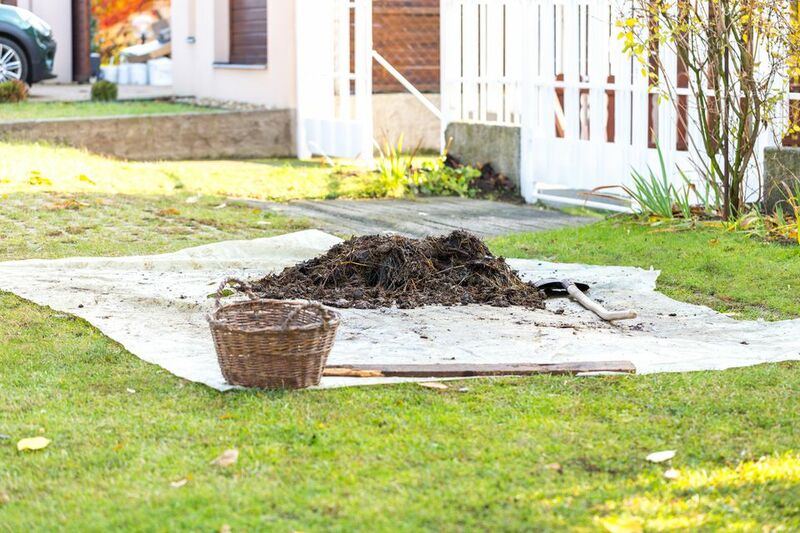 Either find a fresh source of manure from a local farmer or purchase bagged manure at your local nursery or garden center. There are two ways to make manure tea, and both are quite simple. Fill a five-gallon plastic bucket or other container two-thirds of the way full with water. Add enough manure to fill the bucket the rest of the way. Let this steep for a day or two, stirring once or twice a day. When you're done steeping it, leave it alone for an hour so the solids settle to the bottom, then simply pour the liquid into another container. You could also just dip into the bucket to use what you need as you need it. If you don't want to worry about having to pour off the liquid and try to keep the solids separate, consider making a simple "tea bag" for your manure. You can use an old cotton pillowcase for this, or a few layers of cheesecloth, which you gather and tie around the manure. Use the same proportions as mentioned above (1/3 manure to 2/3 water) and let it steep for a day or two. When you're ready to use your manure tea, just lift the bag out of the bucket, wring it out to ensure that all of that manure-y goodness ends up in your tea, and add the used manure to your compost pile. Whichever method you use, dilute your manure tea before using it on your garden plants. Use water to dilute the manure tea; it should ideally be the color of weak tea, a pale brownish-yellow. Manure tea can be applied as a foliar feed or directly to the soil around the plants. To use it as a manure tea, strain it well to remove solids, dilute it to the color of weak tea, and add it to a sprayer. Then just apply it to the top and undersides of the foliage on your garden plants. To apply directly to the soil, pour about one pint of diluted manure tea around the base of each plant. Apply manure tea weekly throughout the growing season. Just about any plant in your garden or container plantings will benefit from manure tea. Don't fertilize root crops such as carrots, radishes, turnips, potatoes, and beets with manure tea. These plants need more potassium than nitrogen – excess nitrogen (which manure tea would provide) would result in pretty, healthy top growth but not much root growth. A regimen of applying manure tea will definitely result in healthier, happier plants. Consider brewing some for your garden this season. Does Your Organic Garden Need a Worm Tube?